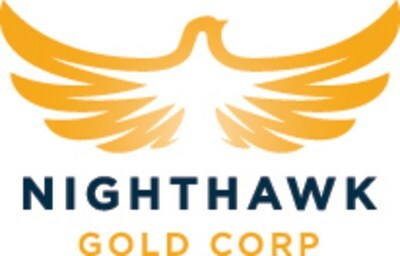 TORONTO, July 11, 2018 /CNW/ - Nighthawk Gold Corp. ("Nighthawk" or the "Company") (TSX: NHK; OTCQX: MIMZF) is pleased to announce that it has completed a non-brokered private placement (the "Offering") of 5,000,000 common shares of the Company that qualify as "flow-through shares" ("FT Shares"), within the meaning of the Income Tax Act (Canada) (the "Tax Act"), at a price of $0.50 per FT Share for aggregate gross proceeds of $2,500,000. The gross proceeds from the Offering will be used to fund "Canadian exploration expenditures" which will qualify as "flow-through mining expenditures" within the meaning of the Tax Act and will be incurred on the Company's Indin Lake Gold Property in the Northwest Territories. The Company originally outlined an exploration budget of $11 million (including a $9.9 million "flow-through" commitment to be spent by the end of 2018) which would allow for approximately 25,000 metres of drilling within the Company's Indin Lake Gold Property. The proceeds from the Offering will allow an increase in metres from the planned 25,000 metre program to upwards of 30,000 metres of drilling, as well as an expanded prospecting program. The 2018 drilling program commenced in March with three drills in operation for the duration of the drill season. Two drills are focused on the Colomac Gold Project ("Colomac"), aimed at exploring for additional high-grade zones and infill drilling within the current mineral resource in preparation for a future mineral resource update. The third drill will test some of the more prospective regional targets within the Company's district scale land package including: the Leta Arm Project (targeting the main deposits and showings along this 10-kilometre long mineralized shear zone); the Treasure Island prospect, following up on the positive drill results from its 2011 campaign; the high-grade Damoti Lake Gold Deposit where drilling will explore the host fold structure along strike and to depth below the current mineralization, with the objective to deliver a maiden mineral resource estimate in early 2019. The Company is also aggressively advancing several of its recent new discoveries to possibly drill later in the program, including the Nice Lake Sill (located 2 kilometres east of Colomac), the Andy Lake Showing (17 kilometres south-southeast of Colomac), and the Swamp Showing (7 kilometres northwest of Colomac). These new discoveries have never been drilled. Dr. Michael Byron, President and CEO commented, "A key objective of the 2018 drill program was to expand our exploration efforts outside of Colomac and advance some of our more prospective Indin Lake Gold Property prospects including the high-grade Damoti Lake Gold Deposit, the Leta Arm Project, Treasure Island, and given encouraging enough exploration results, drill the first holes into some of our new discoveries such as the Nice Lake Sill area and the Swamp Showing. "We are thankful for the continued support from our key supporters including Osisko Gold Royalties, Kinross Gold and Northfield Capital. This influx of capital will position us to achieve our goals while maintaining a healthy cash balance heading into 2019. As we continue to explore the Indin Lake Gold Property, we are confident that more discoveries will be generated, in support of the highly prospective nature of this underexplored Archean gold camp." All FT Shares issued under the Offering are subject to a hold period of four months and a day from the closing date of the Offering in accordance with the rules and policies of the Toronto Stock Exchange ("TSX") and applicable Canadian securities laws. The Offering remains subject to the final approval of the TSX. The securities offered have not been registered under the U.S. Securities Act of 1933, as amended, and may not be offered or sold in the United States absent registration or an applicable exemption from the registration requirements. This news release shall not constitute an offer to sell or the solicitation of an offer to buy nor shall there be any sale of the securities in any State in which such offer, solicitation or sale would be unlawful. Nighthawk is a Canadian-based gold exploration company with 100% ownership of a district-scale land position within the Indin Lake Greenstone Belt, located approximately 200 km north of Yellowknife, Northwest Territories, Canada. Nighthawk is focused on advancing the Colomac Gold Project with a current inferred mineral resource of 2.6 million ounces of gold (50.3 million tonnes at an average grade of 1.62 grams per tonne gold), as well as advancing its other regional gold deposits and showings within this largely underexplored Archean gold camp. This news release contains "forward-looking information" within the meaning of applicable Canadian securities legislation. Forward-looking information includes, but is not limited to, information with respect to: the use of proceeds from the Offering, the Company's exploration programs including its drilling program, and the timing and results thereof; the ability and timing of an updated mineral resource estimate at Colomac; and any potential for future production at Colomac; and the ability to produce a maiden resource for the Damoti Lake Gold Deposit, and the timing and results thereof, the Company's cash balance heading into 2019, and the final approval of the Offering by the TSX. Generally, forward-looking information can be identified by the use of forward-looking terminology such as "plans", "expects", or "does not expect", "is expected", "budget", "scheduled", "estimates", "forecasts", "intends", "anticipates", or "does not anticipate", or "believes" or variations of such words and phrases or state that certain actions, events or results "may", "could", "would", "might", or "will be taken", "occur", or "be achieved". Forward-looking information is based on the opinions and estimates of management at the date the information is made, and is based on a number of assumptions and is subject to known and unknown risks, uncertainties and other factors that may cause the actual results, level of activity, performance or achievements of Nighthawk to be materially different from those expressed or implied by such forward-looking information, including risks associated with the exploration, development and mining such as economic factors as they effect exploration, future commodity prices, changes in foreign exchange and interest rates, actual results of current exploration activities, government regulation, political or economic developments, environmental risks, permitting timelines, capital expenditures, operating or technical difficulties in connection with development activities, employee relations, the speculative nature of gold exploration and development, including the risks of diminishing quantities of grades of reserves, contests over title to properties, and changes in project parameters as plans continue to be refined as well as those risk factors discussed in Nighthawk's annual information form for the year ended December 31, 2017, available on www.sedar.com. Although Nighthawk has attempted to identify important factors that could cause actual results to differ materially from those contained in forward-looking information, there may be other factors that cause results not to be as anticipated, estimated or intended. There can be no assurance that such information will prove to be accurate, as actual results and future events could differ materially from those anticipated in such information. Accordingly, readers should not place undue reliance on forward-looking information. Nighthawk does not undertake to update any forward-looking information, except in accordance with applicable securities laws.